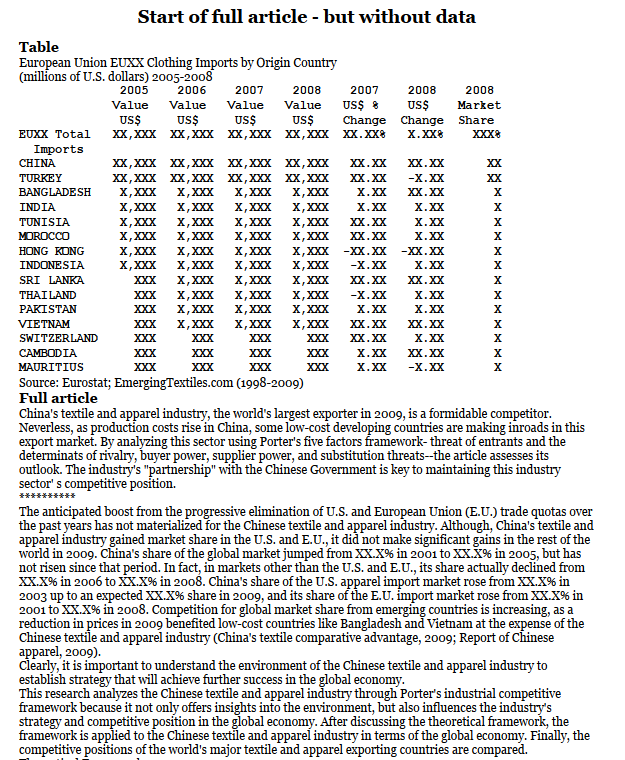 Textile and clothing imports from China* *Source Undersecretariat of the Prime Ministry for Foreign Trade. Jan 2006 | ????? ????????? & ?????????? - ?.?.?. ??????? - ?????? China’s textile and clothing exports as compared with total commodity exports (1978 - 1995) (billion USD) Source: China’s Foreign Trade Statistics Yearbook, 1996.